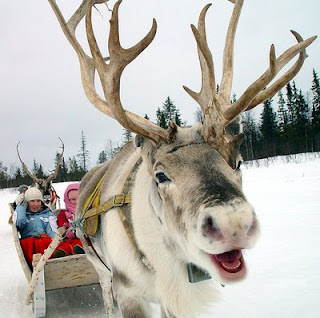 Did you know Reindeer are the only deer species in which both sexes grow antlers? Adult males shed their antlers every fall and females and adolescents, every spring. Therefore, any reindeer you spy pulling Santa's sleigh are either females or young males.